Description: Featured games include Siren (also known as Forbidden Siren), Guilty Gear Isuka, and Armored Core Nexus. 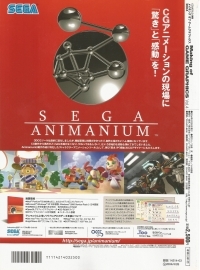 Originally included a CD featuring behind-the-scenes footage for the CGI of various games. All text is in Japanese. This is a list of VGCollect users who have CGWorld Separate Volume: Making of Game Graphics - Volume 4, 2004 in their Collection. This is a list of VGCollect users who have CGWorld Separate Volume: Making of Game Graphics - Volume 4, 2004 in their Sell List. 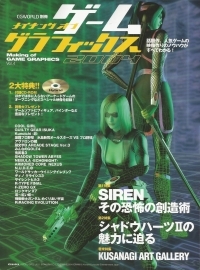 This is a list of VGCollect users who have CGWorld Separate Volume: Making of Game Graphics - Volume 4, 2004 in their Wish List.